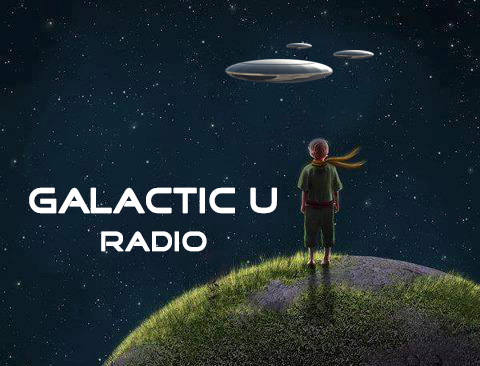 I hope you enjoy listening to this great conversation between Josh, the Director of The New Energy Industry and Sierra Neblina, the host of GalacticU Radio. If at any point you feel like jumping around, do so, and flow with the conversation. Below you will find a time-recap of the conversation, as well as many links to various topics covered. * Please note: All link below will open in a new window, so feel free to explore while you listen. 0:00 Musical Introduction: Renowned part 3, by Emeli Sande 2:00 Introduction by Sierra and recap of last the past few week with GalacticU. 3:30 Sierra introduces Josh, Director, The New Energy Industry. 5:45 Mission of The New Energy Industry: Our mission is to spotlight and empower the individuals and organizations who are pioneering the cutting-edge world of new (breakthrough) energy technology. With the purpose being, to empower a conscious sustainable revolution. A revolution from scarcity to abundance, and from fear to love. A revolution of mind and of heart. While at the same time revolutionizing the world of science by replacing ”combustion technology” with “magrav technology” (using Magnetic and gravitational fields as means of lift, drive and energy generation). In other words, we are talking about resolving the global energy crisis, cleaning up this planet, while at the same time, realizing spaceship technology. And it’s pretty exciting. 7:00 Mentions: The Beauty of “Spin” ~ Vortexing Magnetic Fields – video 7:45 Talks about: Keshe Plasma Generator ~ Here is The Future -video 9:30 Tells the story of how the Keshe Plasma Generator video came to be. 12:00 Talks about being a Marine Corps Veteran, student of business, economics, accounting and sustainable living. 18:00 Mentions: What The Bleep Do We Know (documentary on Consciousness and Quantum Physics) as well as the Sustainable Living program at MUM. 21:00 Introduction to where The New Energy Industry came from, and where it is going. 24:00 Mentions video: ~ 2014 ~ A Summary of Breakthrough Energy Technology ~ A New Beginning 25:55 Plays audio from video: Global Energy Crisis??? 27:00 What is New Energy Technology? 28:00 Talks about building a team of Writers for The New Energy Industry and the importance of Education in create a sustainable future. 33:00 How much is Telsa is influence on all of this? Tesla = Boss. 44:00 Mentions the beauty of Autodidacticism and the epicness of the Internet. 50:30 What are my Favorite forms of New Energy Technology? 51:00 Keshe Vs. Searl (a nutshell on Mehran Keshe and John Searl). Keshe Plasma Generator Vs. Searl Effect Generator – Who Will Be First?? 57:33 Talks about Fernando Morris, CEO and Chief Engineer and Searl Magnetics. 61:30 Talks about Justin Hall Tipping, CEO of nanoholdings and Breakthrough Solar Energy Technology. 65:00 Talks about the Industrial Revolution, Technological Revolution, and thus, the onset of the (next) Energy Revolution – a revolution of our energy infrastructure. 66:00 Talks about the importance of mainstream (university) education on the topic of New Energy Technology. 70:15 How can people get involved, or join the team, working to empower The New Energy Industry? 72:15 Talks about to campaigns: (1) To build a team of high caliber Writers for The New Energy Industry, and The Founders annual coin club ~ 2014 In Tribute to Nikola Tesla. 77:00 Talks about Solar Technology and how it is currently changing economic models within our current energy infrastructure. Solar Energy being a transition technology that is opening up the paradigm of freely-accessible energy, anywhere, and thus building a new economic system around it. 81:00 Talks about the importance of “public policy” in motivating energy-economic development. If your reading this, you’re doing a really great job. No seriously, a really great job – keep it up. 98:00 Talk about empowering the millions of people who are working passionately towards global sustainability. 101:00 Talks about going through the Marine Corps while my individuality. 105:00 Talks about launching The New Energy Industry in the impressive town of Fairfield, Iowa.